Water is one of Northern New Mexico’s most precious resources, and one of the best things about gardening here in the high desert area is the wide variety of naturally drought-tolerant trees, shrubs, vines and perennials available. But even drought tolerant plants need water — and how to water is as important as how much to water. 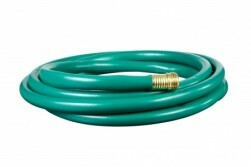 Use soaker hoses, bubblers or drip irrigation systems to confine water to only those areas where it is needed. All of these products are available at Payne’s Garden Centers. Use climate compatible, naturally drought tolerant plants called xerics — pronounced ZARE-iks or ZEER-iks. Choose plants that can be lush and healthy under a once-weekly watering plan. 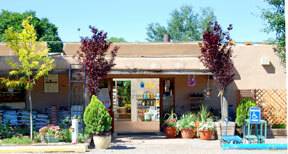 Payne’s knowledgable staff can help with selection of appropriate plants. Bags of mulch are readily available at both Garden Centers. If you need more than a few bags, check out Payne’s Organic Soil Yard. This is the single most important thing to do to use water more efficiently in the garden. Mulch is “any substance spread upon the ground to protect the roots of plants from heat, cold, drought or to keep fruit clean.” Homemade or commercial composts make the best mulch, followed by pecan shells, straw and shredded bark. Layers varying from 1” to 4” deep should be applied 1 or 2 times annually, depending on the type of plant and the type of mulch. Payne’s staff can help with the selection the best mulch for a particular situation. 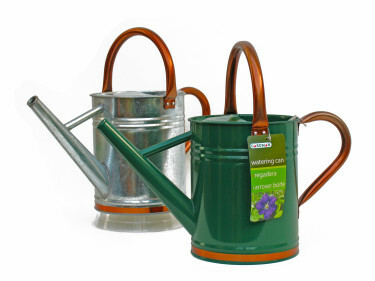 Frequent shallow watering can cause plants to become intolerant of drought by weakening root systems, leading to plant failure if left without water for even short periods of time. Plants need a regular deep-watering schedule. If xeric trees, shrubs and perennials are mulched properly, they should do well with one deep soaking per week. For annual flowers and vegetables, two to three applications per week may be necessary. For container gardening, consider adding water-absorbant biodegradeable polymer granules to the potting mixture. The granules act as mini water reservoirs for potted plants’ roots to draw upon between waterings. Proper use of such granules in container soils can reduce watering 25-50%, even in the heat of summer. During late fall and winter (November through March), soak beds and trees deeply once a month. Water deeply and infrequently, but consistently — and only when plants need water. Many plants will wilt in hot weather. This is natural and they will recover in the cooler evening air. If not, look for other problems such as insect- or rodent-caused root damage. Using a watering can is a great way to avoid over watering. Over-watering is harmful to plants for several reasons: too much water will displace oxygen and other gases plants need to thrive. The lack of oxygen can kill the roots. If a healthy root system does not exist, the plant will not be able to absorb water. No water in the plant results in wilting, so don’t make the mistake of applying even more water! Most years, northern New Mexico gets plenty of rainfall during the monsoon season, late June through early August. This is one of the best times to establish new plantings. Always reduce watering schedules in the wet season, and shut off automatic timers.